Cape Town Wedding - an overseas trip! 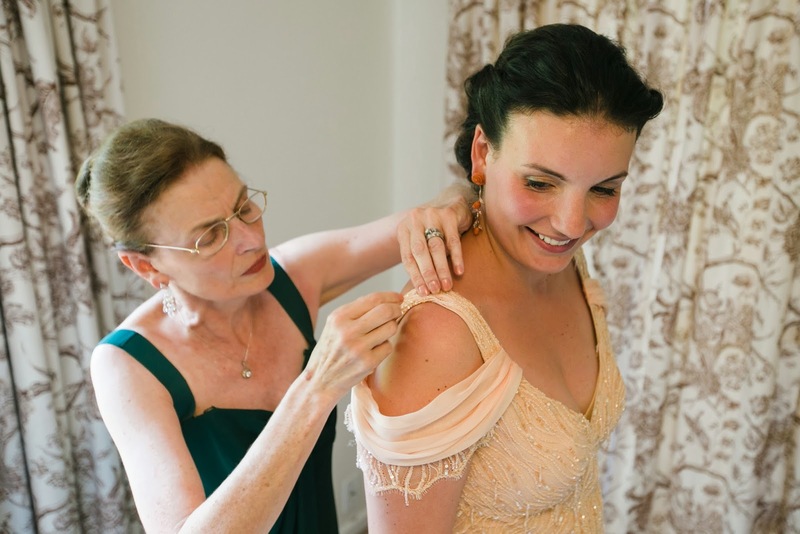 It was a wonderful adventure to do Anna's hair and make-up for her wedding to Dave in Bishopscourt, Cape Town, South Africa. Of course, it also took careful planning to bring just the right amount of kit over with me, and to pack it in such a way that it didn't get damaged in transit. The hot weather was also a concern - would my MAC Paintpots sweat'? I spent quite some time browsing online resources for tips on how to pack powder make-ups to avoid cracking (cling film, bubble wrap and socks! ), what to take in hand-luggage vs. hold suitcases(most of it!) and how to transport liquids (decant into smaller containers!). 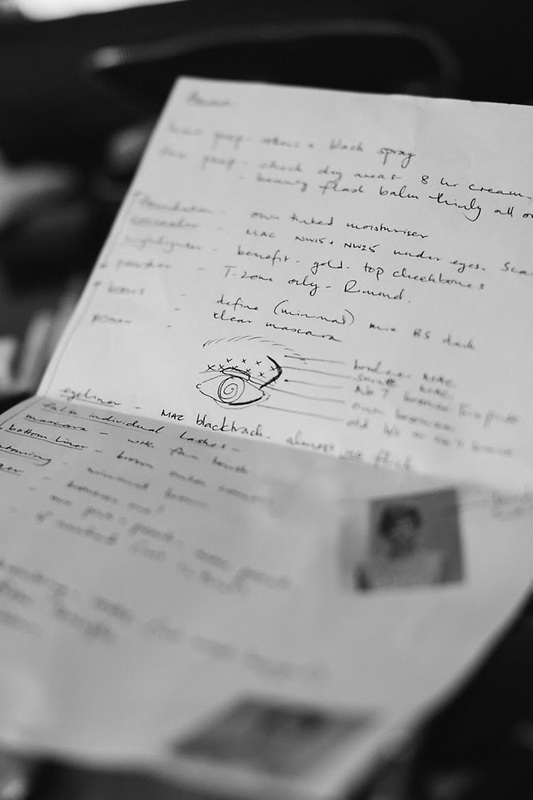 Anna had a trial about a week before her wedding, where I made detailed notes for what to recreate on the big day. 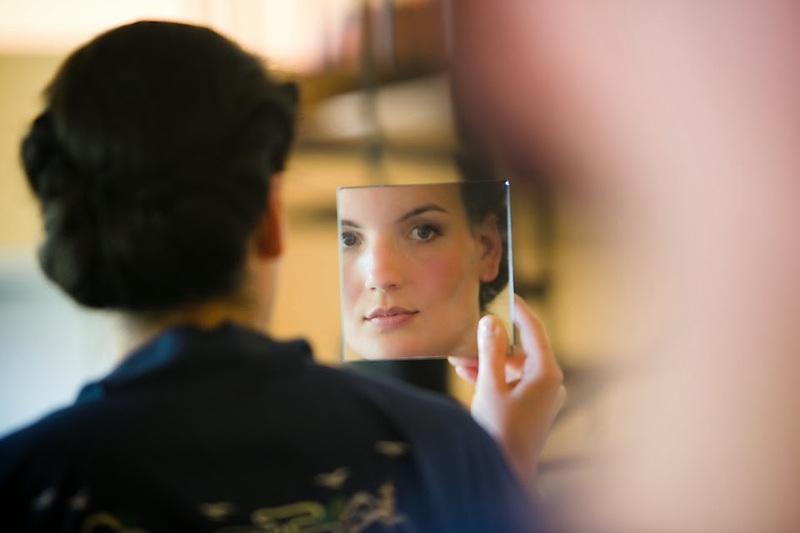 On the Big Day, Anna's adult bridemaids joined her in a large room away from the hustle and bustle of the reception preparation taking place in the garden. Anna is a up-and-coming jewellery designer, featuring regularly in national fashion magazines. 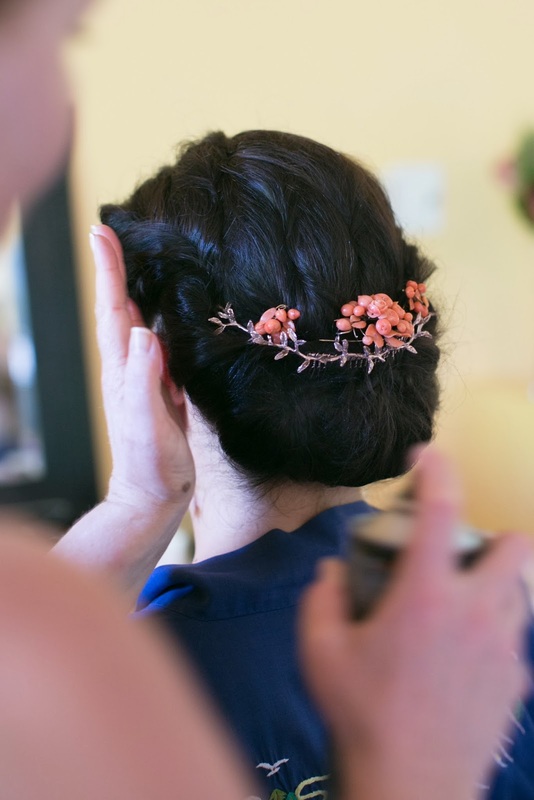 She designed her own jewellery and hair accessory for her wedding. 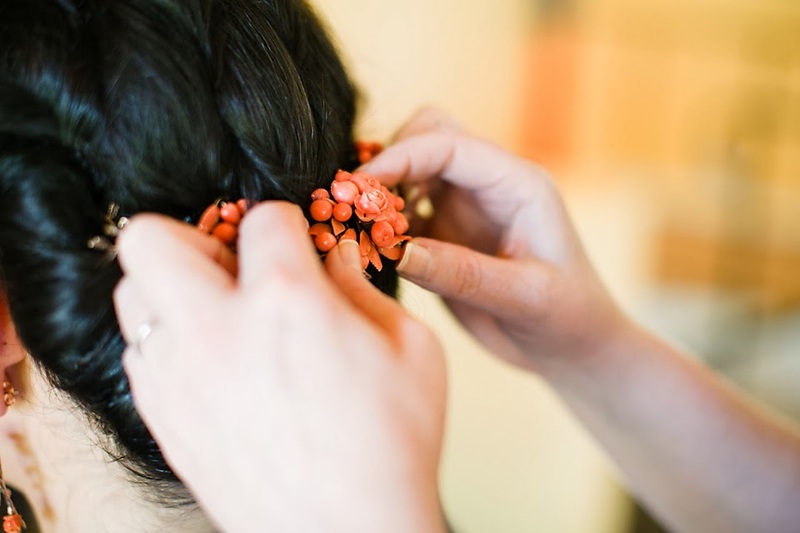 Anna used her grandmother's coral hat pins and broach with her hair accessory to great effect, matching her earrings. 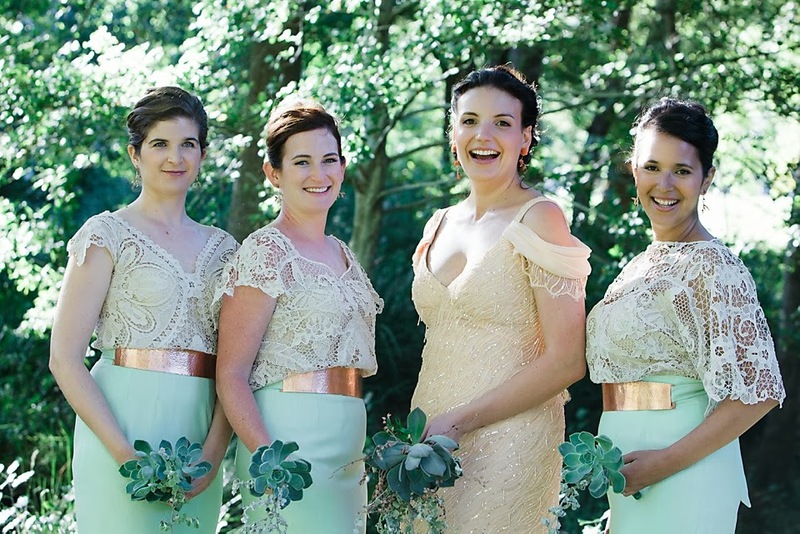 theit belts were made by the bride and the skirt designed to match the green of the bouquet. 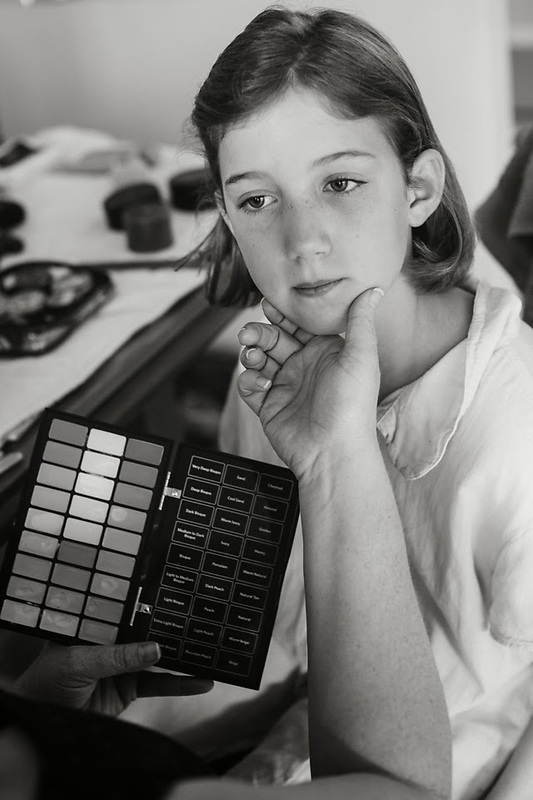 One of the two flowergirls had a bruise under her eye, so I camouflaged it with the help of my Bobby Brown concealer palette. Stunning marquee, with tables cleverly arranged at curves.